Matakuhia • By tonyg. Licence: cc by. This hut was recently rediscovered by DOC after it managed to drop off their database somehow. They have done some improvements to the hut and have recut the track into it. "The Landing" • By tonyg. 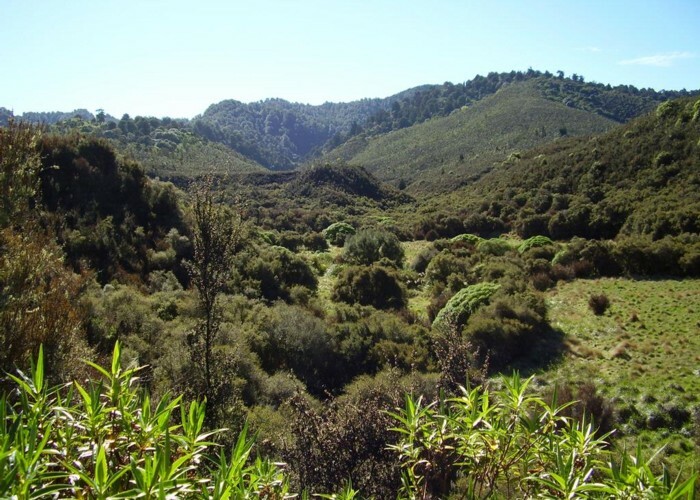 Licence: C.
Start from the old Matahuhia Saddle Hut site. This is on a side road off Pine Milling Rd. The last little bit of road is quite rough but should be negotiable by car. Park next to the remains of the foundations of the old hut. You can get to Pine Milling Rd via Minginui but it is shorter to come through Kaingaroa Forest, though you will need a permit to do this. The track begins by dropping down from the Saddle into the Matakuhia Valley along quite a nicely graded track. Soon after arriving at the stream the track crosses the stream on an old log and then continues down the true left bank. The Upper Matakuhia Hut sits in a sunny clearing and is an extremely pleasant place to spend a sunny afternoon. 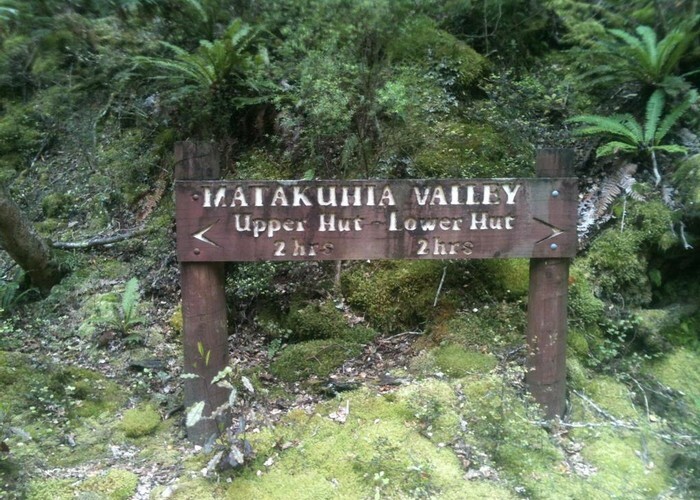 You can continue down stream to the Lower Matakuhia Hut but the track is overgrown so it is rougher going. Added 21 May 2008 by pmckepmcke. 3 revisions, most recently 28 November 2012 by pmckepmcke.